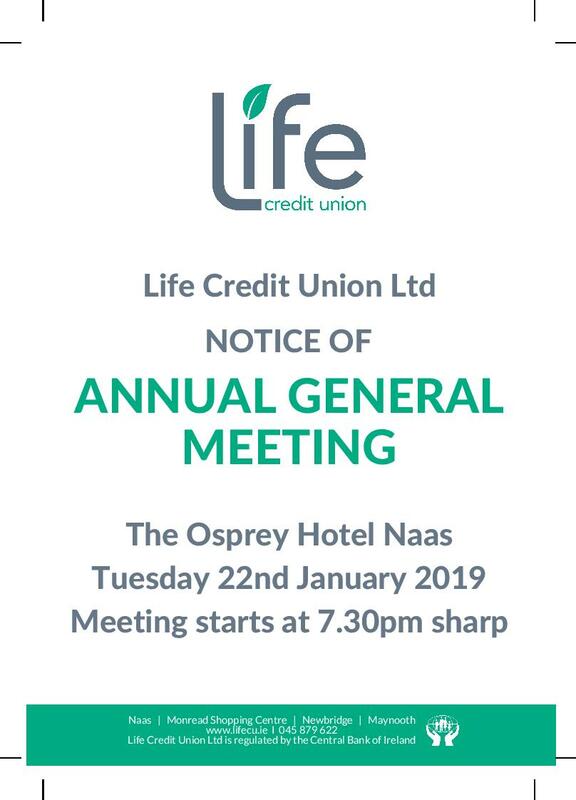 Life Credit Union, which has branches in Naas, Newbridge and Maynooth is holding its AGM at the Osprey Hotel in Naas later this months. See the full details below. All members welcome.